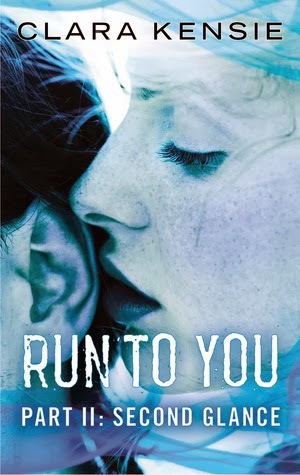 Run to You by Clara Kensie Blog Tour with Review and Giveaway! ~ Love.Life.Read. 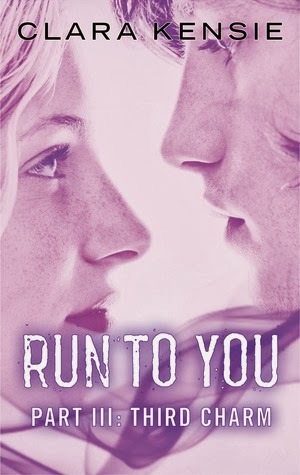 Run to You by Clara Kensie Blog Tour with Review and Giveaway! If you are drawn to books that sweep you away, that keep you captivated until the last page is turned than I am going to encourage you to give the Run to You serial books a try. 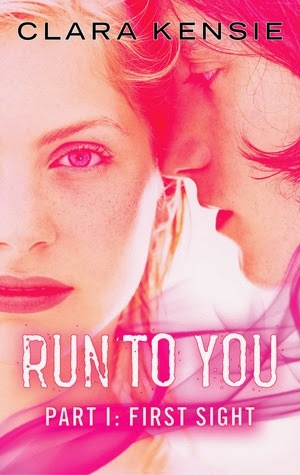 From the first paragraph I was hooked into Sarah's world as she and her siblings scramble to get away from their high school as they are on the run from the man that has been chasing them for the last eight years--the last time he was that close he tried to kill them. You see, her family is special because the psionic abilities they each have--all but Sarah. She is normal. This time, they wind up in Twelve Oaks, Illinois. Sarah does not like lying so since that fated day she has not made friends unlike her brother and sister. That all changes when she meets Tristan. She cannot help it--she is drawn to him. Soon she is spending more and more time with him. She wants to open up to him, which she knows she cannot. She defies her parents when they ask her to break it off to him because she does not want to let him go. Through ups and downs, twists and turns, these books kept me hooked. I do not want to give away these twists as I want you to click through and get these books for yourself because they are THAT GOOD! Plus, I try to stay spoiler free here at Love. Life. Read. Trust me when I say these books are filled with suspense and mystery balanced with love and romance that will have you in love with these books as much as I am. Clara Kensie grew up near Chicago, reading every book she could find and using her diary to write stories about a girl with psychic powers who solved mysteries. She purposely did not hide her diary, hoping someone would read it and assume she was writing about herself. Since then, she’s swapped her diary for a computer and admits her characters are fictional, but otherwise she hasn’t changed one bit. Wow oh wow is there a FABULOUS prize package available for you today!!! Contest is void where prohibited. Entrants must be 18 or else have parent or guardian’s permission to enter. Winners will be notified via email and will have 48 hours to respond or another winner’s name will be selected. Winning entries will be verified for authenticity. All Lined Up by Cora Carmack Cover Reveal!! Two Entangled Young Adult Novels Debuting Today! Happy 2nd Anniversary to Entangled!